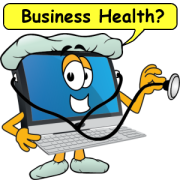 SiteSell Services Specialists build more than websites, they teach small business for the Internet. Do you want a website that works, but need help building it? 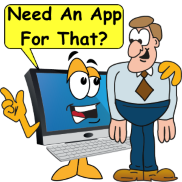 Get your business is listed everywhere including Google My Business, Facebook, Yelp and dozens of search engines, maps, apps and websites. 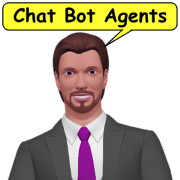 Delight more customers with a friendly greeting and helpful chat bot agent. Show Me How to get a flyout menu Left. Need help? Take advangtage of our Best Website Services. SiteSell Services (Pro) takes their professional website building to the next level. Their websites deliver free targeted traffic from the Search Engines to increase profit potential, without the high cost and effort of traditional marketing. As a businessperson, you hire specialists to do special jobs, right? Maybe you've considered a local webmaster, to build your website. But, many local webmasters don't know how to build a website that gets traffic. SiteSell Specialists do! 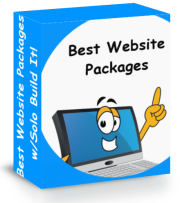 With an all in one website building package called Solo build It! 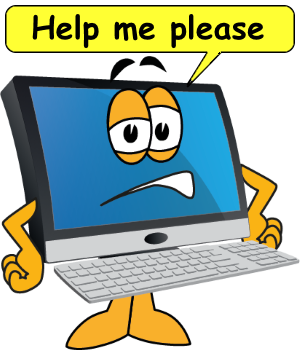 Most Webmasters merely "put up" a website to the Internet. They may be beautifully designed but most do not build traffic or get targeted visitors. 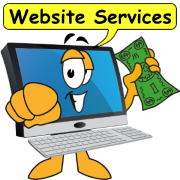 Site-Serv provides turn-key websites that produce results. Our Specialists, use the proven Solo Build It! 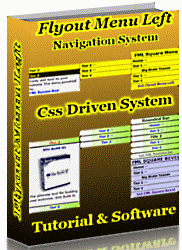 system to build top-quality, high-traffic websites in an organized, professional manner and at a reasonable price. Your competitors are online in a serious way. Local small businesses and retailers are making the move to the Internet in a big way. More than half of local small-businesses still do not have a website. But that is changing fast. Many small businesses are now embracing the power of the Internet and building websites. Are You? Do you want too? Sitesell specialists guide you through the process of identifying demand, creating keyword focused content to meet that demand, and set up traffic-building systems that attract potential customers. A SiteSell Specialist performs a thorough keyword research based on your business theme. Keywords are the words that potential customers enter at Google (and other engines) to find information. This keyword research enables those customers to find you, instead of your competitors! Your personal specialist will create keyword-focused content pages based on research of your business model and details you shared about your business. Together with your specialist, you will develop information about your business that prospective clients are looking for. Ultimately, you will own your Internet niche by giving your visitors the information and solutions they want. Sitesell will build the foundation and framework of a website that pleases both human visitors and the search engines. Your Specialist outlines your website's development procedure, including mutually agreeable goals, tasks and timelines. A Sitesell Pro designs your site's "Look and Feel" based on your input, using the SBI! system. Your Specialist does all of the actual building of your website's pages. Built from the ground up, you'll reap the benefits of over 10 years of experience, all packed into a truly professional website. Sitesell Services Provide Information and Solutions. By making your website/business easier to find via search engine results and by providing quality relevant content, your chances of converting visitors to customers increase exponentially. Sitesell Pro will help you accomplish this. Your Specialist will optimize your web pages to make them attractive to search engines for high rankings. Your Specialist will update and add new information to your website at your request. Your professionally built website will enable you to out-perform your local competition, "own" your niche on the Internet and expand your business (perhaps even globally). If your business philosophy is a long-term, plan-and-build-from-the-ground-up, SiteSell Services is your answer. Your Site-Serv Specialist first researches the Internet, in order to develop your website's blueprint. 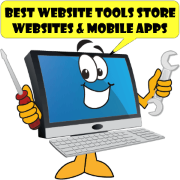 This lays a strong foundation upon which to build a highly popular website. SiteSell Services does not promises numbers. Instead, they promise a dedicated long-term approach to helping you achieve the best content-delivering site for your particular business or industry. A SiteSell Services specialist takes care of all the technical stuff for you, from domain registering to advanced management. A SiteSell Services Specialists keeps up with the latest changes on the Internet and advise you accordingly. Provide ongoing, specialized advice, as needed, on an regular basis. You stay in control of your marketing budget. SiteSell Services charges significantly less than local webmasters and use an efficient productive process that benefits everyone. If you like, your Specialist can get you off to a strong start and then you (or a member of your staff) can "take it from there" and continue adding pages and building traffic. When a local webmaster builds a website, you are usually required to use their services for making changes and adding additional content. Not so with Site Build It! Once your website is built you get complete control. Make changes add content and you get all the tools to boot. Give your small business the advantage of a website that works. SBI is your answer. You know what it takes to run your local small business. 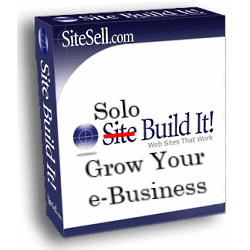 SiteSell pros knows what it takes to do business on the Internet. Tap into SiteSell's professional traffic-generating expertise to grab an edge over your competition and expand your customer base locally and globally. With the efficiency of SiteSell Services, you'll achieve a Return on Investment ("ROI") that can't be matched by any other Webmastering services provider. No need to settle for expensive fancy "brochure site" that doesn't generate any traffic. Site-Serv will get the Internet working for you. It's time for you to own a website that drives business your way!